For the directionally impaired, the government of Catalonia has set about to install signs that indicate when you are entering one of the 10 Denomination of Origin regions that are easily signed. There are actually 12 en total, but Cava is weird because it overlaps with Penedès, is scattered around other villages and is also throughout Spain at large. Then of course there is DO Catalunya which is this weird kitchen sink of a DO that should actually be Vi de Catalunya (like Vin de France) as it comprises all of Catalonia and can be of just about any grape. 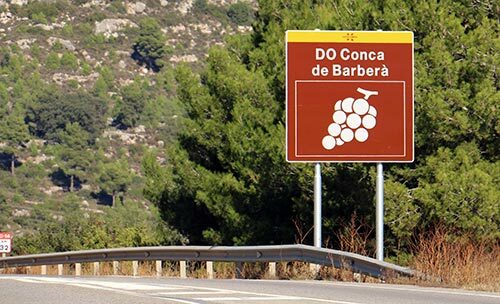 They’ve started out with something of a pilot program comprised of 30 signs around all of Catalonia and DO Conca de Barberà received the first batch as pictured above. We’ve started seeing them in Priorat as well, but honestly, it’s freaking weird. 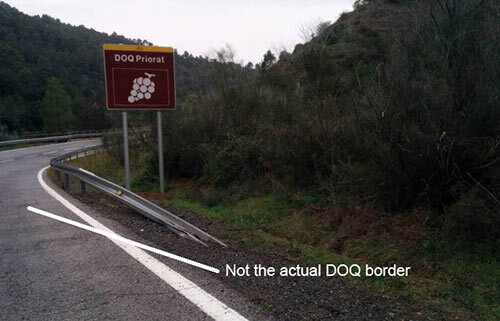 You’d think that they’d put the sign at what is actually the border to give people an understanding of where it really starts but no, the signs we’ve seen appear to be a good 500m within the region in regards to Priorat. Of course more to the point, when leaving DOQ Priorat, there are no signs indicating the start of DO Montsant which literally wraps around it. We’re not really sure where this is headed as generally, DO’s are named after the comarca or county in which they sit so people kinda would sorta know that they’re in the general vicinity and this would have explained exactly where the DO’s started to help people understand the “why” of this and such things as soil tipicity, etc. that goes in the reason behind creating a DO. Thanks for sharing; any standard visitor would believe the signposts have been set up in the borders to enter and leave a DO. Maybe they should have used satellite mapping.